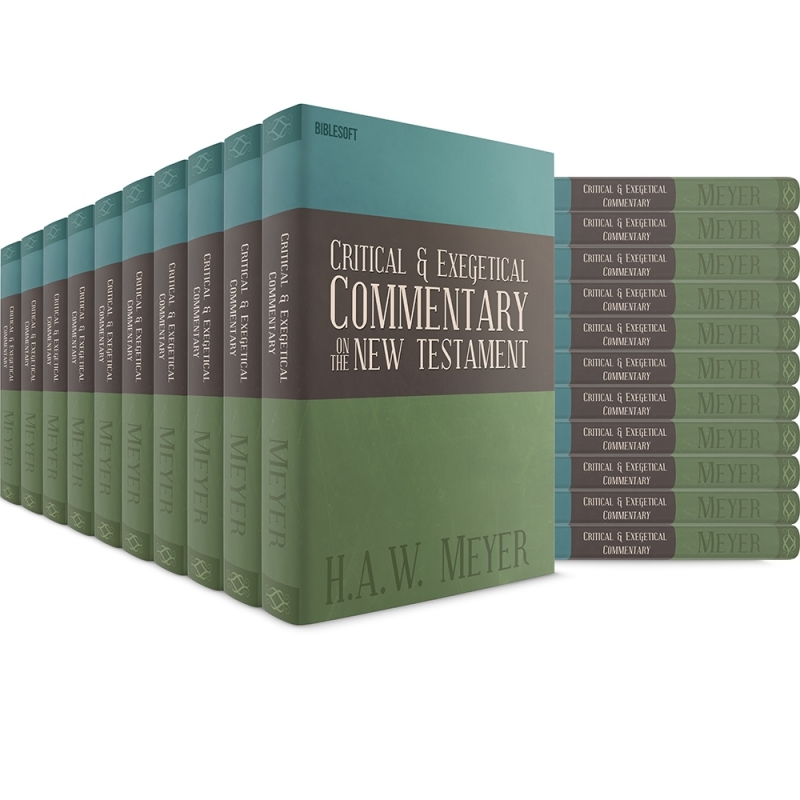 Known as "Meyer's Commentary," the Critical and Exegetical Commentary on the New Testament (21 vols.) by Heinrich August Wilhelm Meyer is considered one of the best New Testament commentaries published in the early nineteenth century. Known as "Meyer's Commentary," the Critical and Exegetical Commentary on the New Testament (21 vols.) by Heinrich August Wilhelm Meyer is considered one of the best New Testament commentaries published in the early nineteenth century. Cited frequently by contemporary authors, this commentary is a wealth of information with verse-by-verse exegetical commentary and a heavy emphasis on text and grammar. 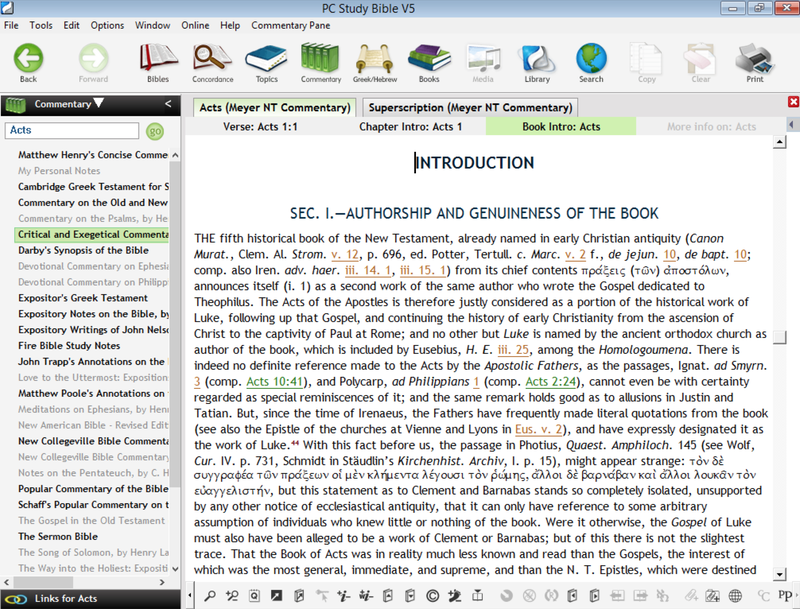 Each book of the Bible is thorouhly introduced with information about the authors, controveries about authorship, information about the time of its composition, intended audience and more. The focus is on the Greek text with an abundance of souces to illustrate the meaning of the text. Meyer also includes bibliographic material that he used in his research. Meyer was a German Protestant with a knack for languages. He spoke German, English, Dutch, French and Gothic as well as Greek and Latin. He had an encyclopedic memory and loved buying books. This commentary was a lifelong project for Meyer. He started it at the age of 27 and worked on it until the age of 72. He accomplished this also while pastoring and raising a family. 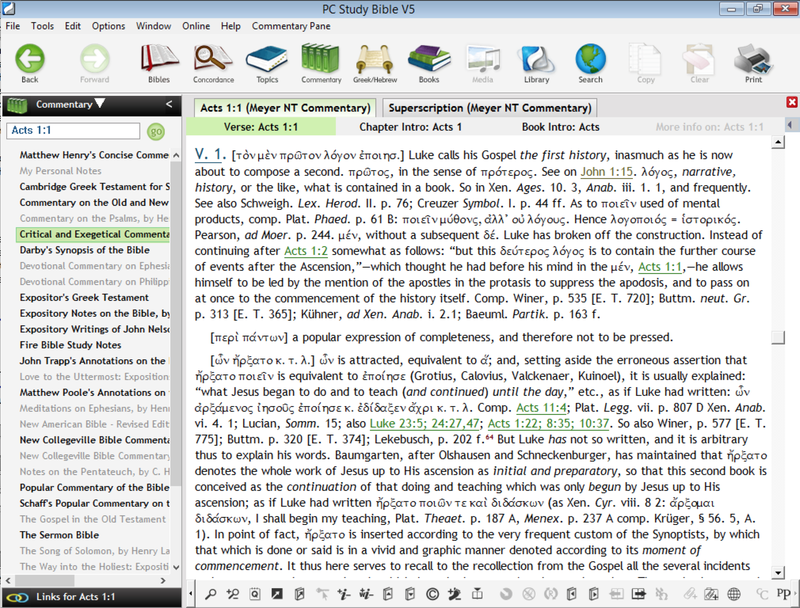 This commentary set includes the 16 commentaries by Meyer, two by Gottlieb Lünemann, three by Joh. Ed. Huther, and the final work on the Revelation of John by Friedrich Düsterdieck. 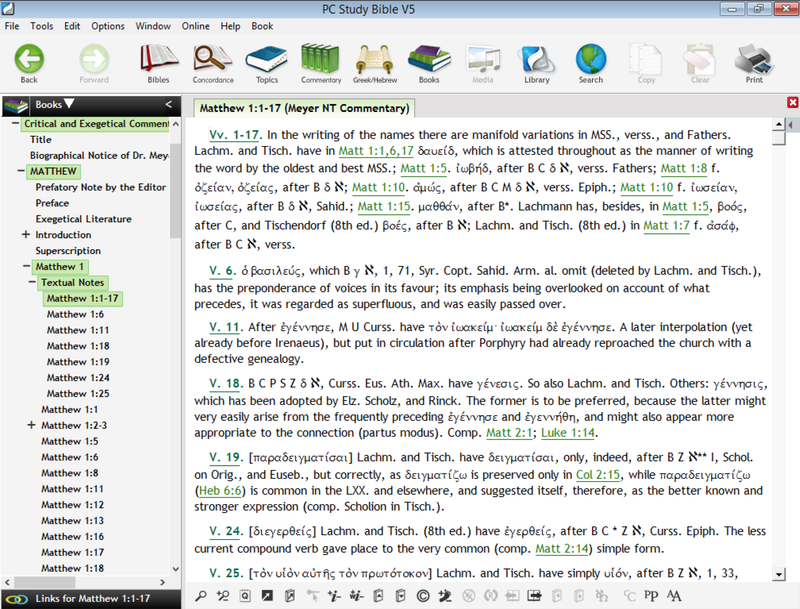 Philip Schaff said Meyer's Commentary is, " The ablest grammatical exegete of the age". Cyril Barber includes this commentary on the list of recommended commentaries for preachers. In The Minister's Library Volume 1, page 83, Barber writes Meyer's Commentary is "marked by fine scholarship … and close attention is paid to critical details. Theology is blended with exegesis in expounding the text. 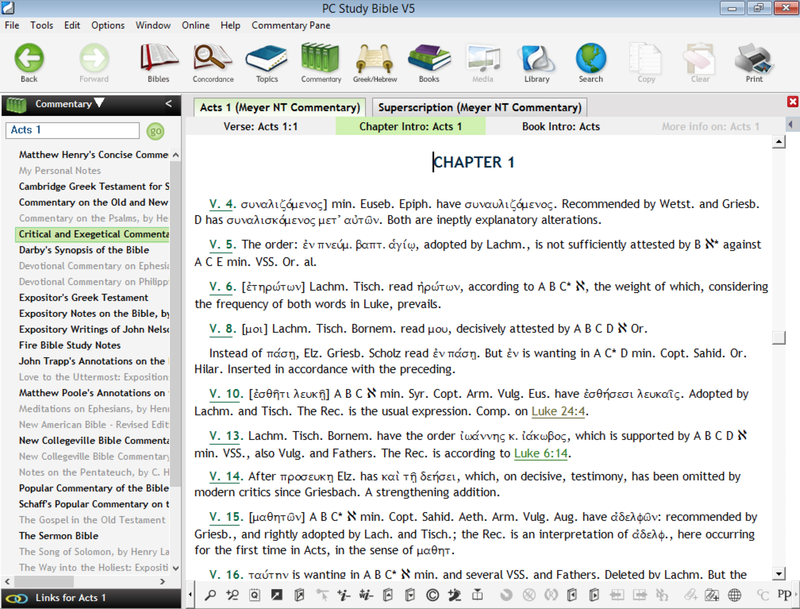 Who's Who in Christian History (1992) said Meyer's Commentary "sets a standard for modern critical exegesis of the New Testament; it is a series that continues to be consulted by scholars."